HOCKEY: Fond memories of his early days playing on the grass fields in Rockhampton came flooding back for hockey champion Mark Knowles at the weekend. 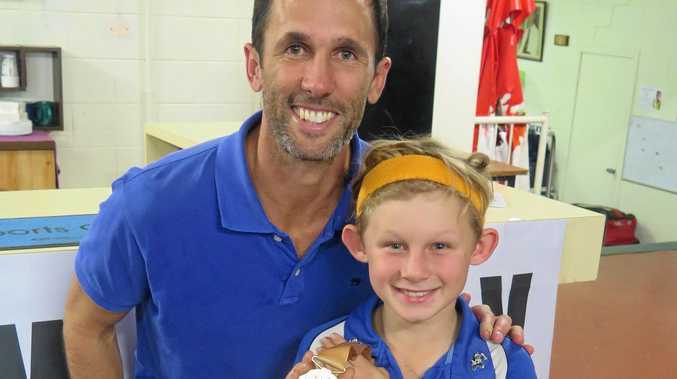 The retired Kookaburras captain made a flying visit home to spend some time with the game's juniors on Friday before taking part in an informal Q&A at Kalka Shades on Friday night. 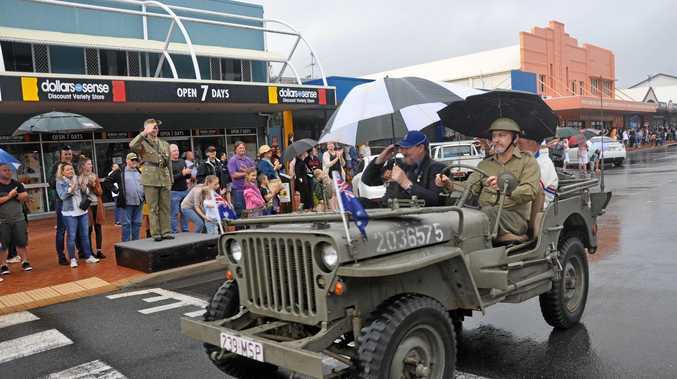 He mingled with players and supporters at the weekly fixtures on Saturday morning before flying back to Brisbane to lead Easts to victory against Commercial in the annual Memorial Cup. Knowles, who retired after the Kookaburras won gold at the Gold Coast Commonwealth Games in April, said it was great to be back where his stellar career began and to share his incredible journey with the region's aspiring talent. "It's been awesome to fly back in and to see the kids out on the field - 130, 140 kids on turf and two or three grass fields. It really made me think, 'Wow, this was me back in the late '80s'. "I just love seeing the kids holding the medal and talking to me like I'm someone they look up to and want to be like. "I think the family sport, the country sport that Rocky and the regions are so proud of makes me think how lucky I was to grow up like that. Knowles, 34, said he had no regrets about his decision to retire. He is getting to spend more time with his young family, is relishing his role as a personal development adviser at the Queensland Academy of Sport and has been kept busy with guest speaking roles for charity and business. "When I got to the end of the Comm Games it was like this is the perfect time for me. I had that seven or eight weeks before I announced it officially for it to sink in. "I dreamt and I wanted to win the Commonwealth Games but I didn't know it would be that good. "I'm fit, I'm healthy, I'm spending more time with my family, I've got a nice job, I'm running a half marathon, doing a charity bike ride and starting triathlons. "It's everything I've wanted to do and never been able to do while playing hockey so I'm very happy,” Knowles told The Morning Bulletin.